The Domadalur daylight series (north), 2006, consists of thirty-five photographs arranged in a grid. All of the images were shot from the same position, facing in the same direction, in Dómadalur, a valley in the south of the Icelandic highlands. 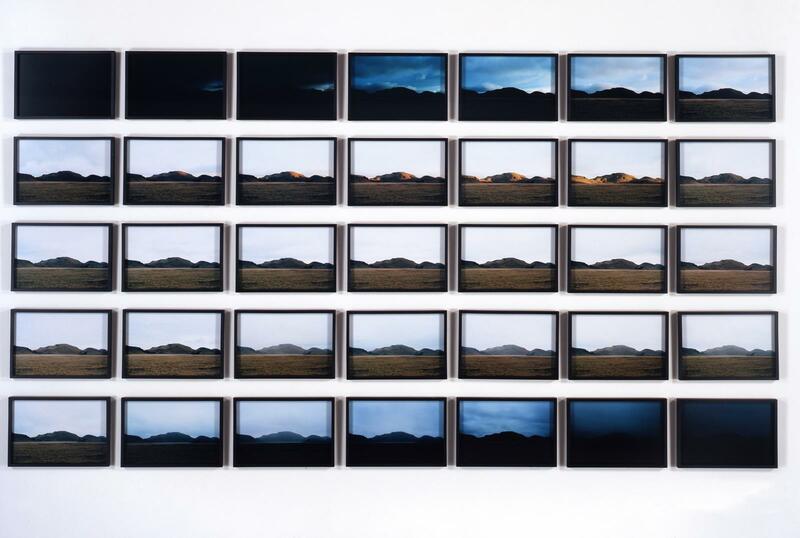 Since the photographs were all taken over a twelve-hour period on the summer solstice, the varying lighting conditions cause the depicted landscape to appear radically different in each picture.